Blogposts about endangered species from Tranquilo Bay Eco Adventure Lodge. 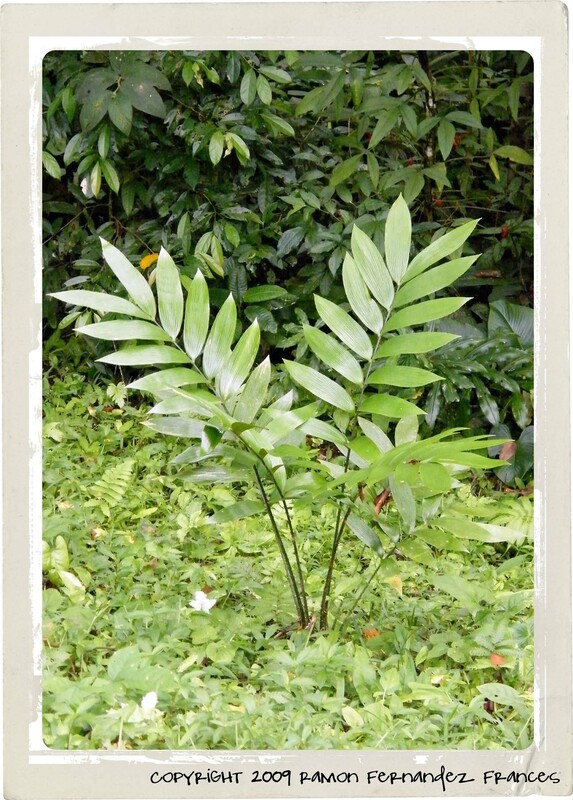 Zamia are rare primitive plants that are regarded as living fossils. Zamia is a genus of cycad of the family Zamiaceae, containing around 50 species, native to North, Central and South America. Cycads are found across much of the subtropical and tropical parts of the world. Though they are a minor component of the plant kingdom today, during the Jurassic period they were extremely common. Cycads are long-lived with infrequent reproduction, and most populations are small, putting them at risk of extinction from habitat destruction and stochastic environmental events. All cycads are in the CITES appendix appearing under the heading Plant Kingdom and under three family names, Cycadaceae, Stangeriaceae and Zamiaceae. Cycads can be cut into pieces to make new plants, or by direct planting of the seeds. Propagation by seeds is the preferred method of growth, and two unique risks to their germination exist. One is that the seeds have no dormancy, so the embryo is biologically required to maintain growth and development, which means if the seed dries out, it dies. The second is that the emerging radicle and embryo can be very susceptible to fungal diseases in its early stages, when in unhygienic or excessively wet conditions. Thus, many cycad growers pregerminate the seeds in moist, sterile media such as vermiculite or perlite. However pregermination is not necessary, and many report success by directly planting the seeds in regular potting soil. As with many plants, a combination of well-drained soil, sunlight, water and nutrients will help it to prosper. Although, because of their hardy nature, cycads do not necessarily require the most tender or careful treatment, they can grow in almost any medium, including soilless ones. One of the most common causes of cycad death is from rotting stems and roots due to over-watering. While the cycads have a reputation of slow growth, it is not always well-founded, and some actually grow quite fast, achieving reproductive maturity in 2–3 years (as with some Zamia species). There are symbiotic relationships between many of the cycads and specific insects. Here in Bocas del Toro we have both the Zamia dressleri and the Zamia skinneri. Both are threatened by habitat loss. Both have symbiotic relationships with butterflies.